During my lifetime, marriage has changed a lot. At the time my father passed away on October 31, 2010, my parents had been married for over 58 years. On Memorial Day, Mom and I drove to the Georgia National Cemetery and said a prayer together, thanking God for the gift that Dad was to her and our family, and asking for strength and courage as we learn to live without him, one day at a time. The eighth of nine children, my father enlisted in the Navy in January 1945, two weeks prior to his eighteenth birthday and unknowing that the war would end before he saw action. 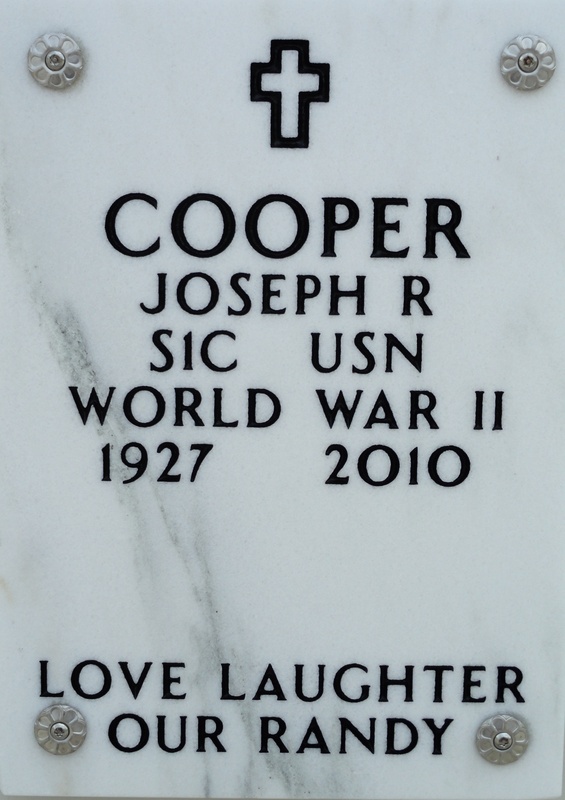 He was honorably discharged in July 1946, the same year that he met my mother; he was nineteen and she was fifteen. When they married six years later, there was no money for a reception or even a wedding dress. They said their vows in church before family and friends who sprinkled them with rice as they departed to begin their life together. Ten years ago, my siblings and I hosted a golden anniversary party for them. It was the most fun evening of my life — and that includes my own wedding day and my silver anniversary party a few years ago. Young and old attended, including my parents’ college roommates, work colleagues, neighbors, friends from church and extended family who came from long distances. My parents finally got to cut their wedding cake, toasts were made, and all who could still walk danced the night away. Growing up, I never doubted their love for each other and for their children. They were always affectionate, relying on each other for support as they faced many trials together. They were grateful for all the joy they experienced in one another and in their family. Forgiveness and a sense of humor were two very important ingredients in their life as husband and wife. When mom and I arrived at the cemetery last Monday, she wanted to show me the short handwritten note she had written to Dad to leave with the bouquet of red, white and blue flowers she had brought. I felt surprised and honored that she wanted me to read it. Of the two of them, Dad was the writer, and he was even more sentimental than she is. But in her note, in just a few sentences, she expressed the essence of her lifelong love for him, her devotion and her pain at losing him. She even mentioned the shorthand symbol for “I love you” that she and Dad had used when they were young — the texting emoticon of an earlier time — and that they had had made into matching pendants. I was overcome with emotion as we placed her note in the envelope and in the bouquet and as we stood together remembering Dad. Marriage is not always easy, but two people who share a lifetime of love and laughter can still find joy and happiness.